Project Mending Sky: US is the final installment of Drama Box's Community Art Project on Environment. In the finale, we come together as a commnity and go through an experiential journey to discover/re-discover our connection with the environment. 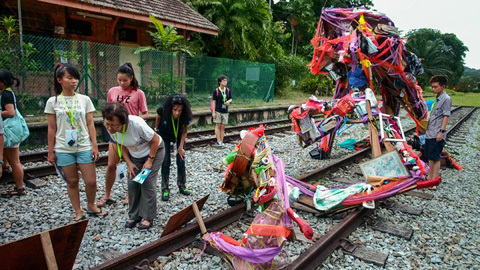 We'll journey through (over 1.5km) the now defunct Bukit Timah Railway Station to "search" for the legendary Bukit Timah Monkey Man, starting from the bustling city into the darkness of the forest.